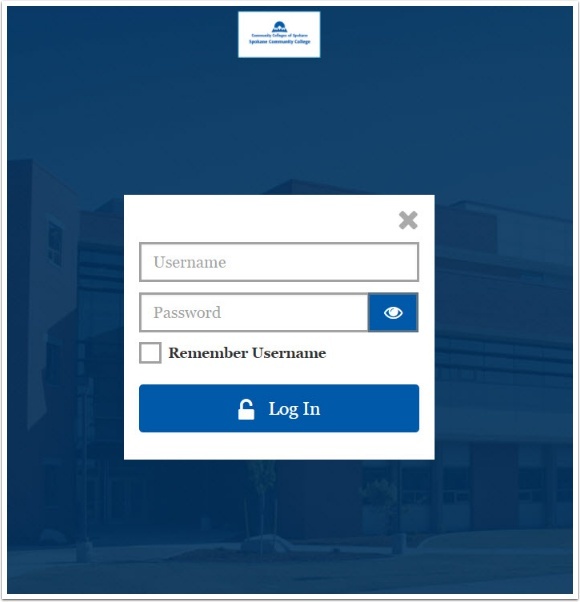 Login using your Student ID and Password. Scroll down on the left My Links menu and select the Messages option. In your Message Center Inbox you will see messages. Click on the message to review. Review the message and Reply if needed. Not all messages will allow replies. Contact the college department that sent the message regarding any questions or concerns if the reply option is not available. If no reply is needed, students can click the Archive button. 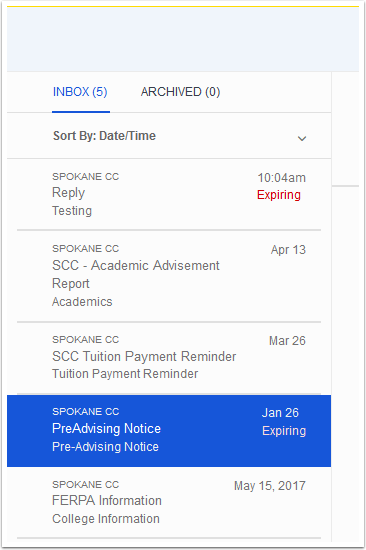 Messages will remain in the Message Center for viewing until the student chooses to archive the message or the college chooses to expire the message. If a Reply is needed, students can type a reply and select the Reply button. 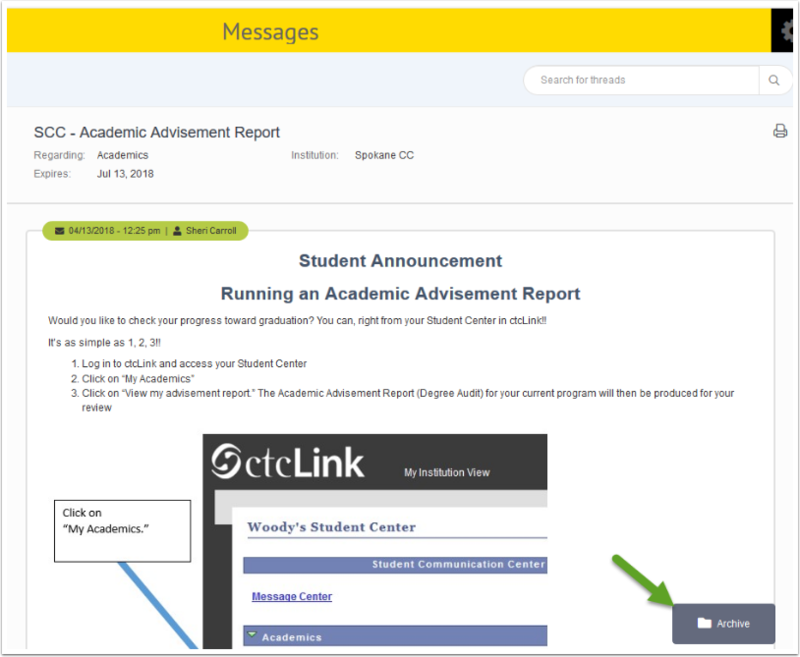 Students can view Archived Message at any time by selecting the Archived link. If a college staff member responds to the Message, the message will be pulled out of the archive folder and display as a new message for the student. 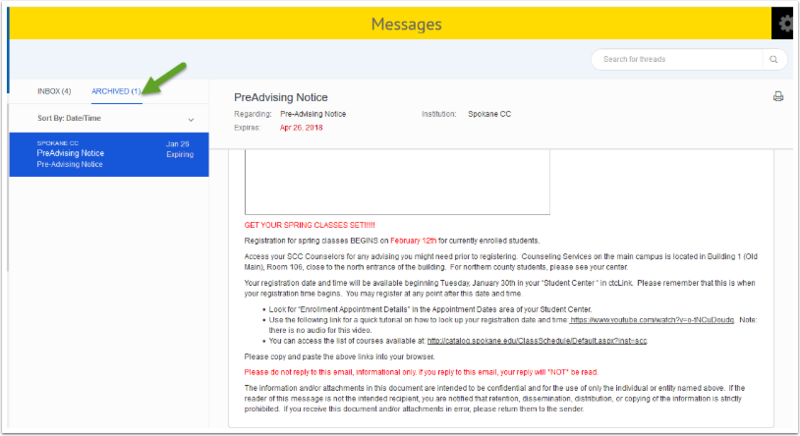 Student can open the message, view and reply to the college until the college closes the conversation thread on the message.